​This article assumes that you are a certified or registered court interpreter, that you are new to the interpreting profession, and that you have certain trepidations about plunging into the legal arena.Depositions are great training grounds for interpreters. Since they are legal proceedings that take place outside of the courtroom, depositions provide excellent preparation for interpreting at the witness stand. Once you know what a deposition is, you’ll be better prepared to handle it. In tort and other civil litigation – malpractice, accidents, workers’ compensation, contracts, etc. – a deposition is perhaps the most important discovery device; it’s a fact-finding proceeding in which sworn testimony taken out of court (e.g. an attorney’s office), but it has the same force and effect as testimony given in a court of law. The deponent may be also asked to produce documents by means of a subpoena duces tecum, an order to “bring [physical items] with you.” Attorneys may take depositions of fact and expert witnesses, plaintiffs and defendants. Each party has the right to depose witnesses for the other parties. A deposition gives all the litigants in the case the opportunity to extract information, under oath, that can help shed some light on a case or quickly settle it. It serves as a way to gauge a witness’ credibility and see how a jury may react to such testimony. In addition, a deposition helps to preserve the testimony of a person who is either living abroad, is unable to appear at a trial, or is not expected to survive until or through the trial stage of a case. Depositions are also taken in criminal cases, but much less frequently. Court Reporter – The court reporter sits at the end of the table, keeps a record of everything being said and notes the start and end times. Deposing Attorney – This attorney has issued the Notice of Deposition or Subpoena to Testify at a Deposition and asks all the questions. It’s her show. She’ll be sitting across from the deponent. Attorney Representing Deponent – Sitting next to the deponent, this attorney will make sure that all the questions asked are in accordance to the Rules. If not, he’ll state objections on the record. The Interpreter – You, as the interpreter, will be sitting across from the deposing attorney, between the deponent and the court reporter .on the other side. Videographer – If a videographer has been requested, s/he will set up a backdrop behind the deponent, a video camera aimed at the deponent and microphones for all parties. The interpreter will never appear on camera. Any of the parties to the lawsuit who wish to be present – Unless they are attorneys of record, parties are not allowed to speak or help the deponent with answering in any way. nce you interpret in a few depositions, you’ll be able to estimate how much time it will take to complete the assignment. Swearing In – First, the interpreter is placed under oath by the court reporter. Then the deponent is sworn in and is asked to state his or her name. Admonitions – Deposing counsel will admonish the witness to remember certain rules, such as: do not guess, but give estimates as to times, distance and numbers; give audible responses; if you don’t know the answer, say you don’t know, etc. Background Information – The deponent will be asked to give his home address and to state whether he is married and/or has children, and if so, to provide their names and ages. He will also be asked to give the names of everyone else who lives in the household. Questions will also be asked about employment history, criminal background, and other lawsuits in which the deponent may be, or have been, involved. Questions About the Event – This area is very specific and related to the lawsuit: times, dates, distances, addresses, names of people, witnesses, machinery, car makes, etc. Medicals – In cases dealing with physical injury, deposing counsel will focus a great deal on the time and number of visits to doctors and medical chronology. For example, assume the person has been injured and has gone to the doctor.. The attorney will want to know what parts of the body were injured, the names of doctors, specialties, modalities of therapy, and whether the treatment alleviated the pain or if it still persists. Wrap Up – Deposing counsel will go over her list of questions to be sure that everything has been covered. Deponent’s counsel will then have the opportunity to ask follow-up questions to clarify for the record any of Deponent’s answers. Stipulations – These are instructions to the court reporter as to what to do with the transcript. Most often, it is mailed to deponent’s attorney, who will then have a certain amount of time to read, review, and make any appropriate changes. Deposing counsel will admonish the deponent that any substantial changes, such as changing a “yes” to a “no,” may be commented upon at the time of trial. Now that you know what a deposition entails, let’s talk about your role as an interpreter. Although depositions are commonplace, they are very important procedures and should never be taken lightly. If the case in question goes to trial, the deposition testimony may be used to impeach the witness. Entire passages may be read in open court. The English transcript reflects and records the interpreter’s words. Video depositions are played “in stereo” in the courtroom. Your voice will be the predominant one heard. In the background, you’ll hear the original language spoken, however faint. When contracting with a language service provider, do not expect to receive detailed information about the nature of the deposition. The provider will, however, give you the name of the case and the name of the firm where the deposition will take place. A cursory check online will help you find out what the specialty of the firm is. Google the caption; it may be related to a newsworthy case. If you can, get all the juicy facts before you get there. Take your dictionary with you (an electronic one is best). Give yourself plenty of time to find parking and go through metal detectors. Yes, high-rise buildings in large cities have metal detectors, and/or a check-in lobby. This may take you an extra ten minutes or more if there are people ahead of you. Arrive about 15 minutes prior to your assignment, introduce yourself to the receptionist and give her the case name. You’ll be escorted (or not) to a conference room or an office for the deposition. Most likely, the reporter will have arrived early to set up. Give him/her your name and the language for which you will interpret. Better yet, show your credentials and give the court reporter your business card or the LSP’s card. The deposing attorney will then come in and set up. Introduce yourself, and again hand him your card. The deponent will enter with counsel. Greet everyone with a smile. You’ll be confident knowing that you are as prepared as you can be. During the deposition there may be questions you don’t understand. It is perfectly acceptable to ask that the question be repeated. If the deponent says something you didn’t understand or if he turned his face so you couldn’t catch the term, it’s acceptable to say, “The interpreter needs to inquire about a word the deponent used.” After you get your answer you should state on the record, “The interpreter asked the witness to explain a term and this is his reply…” The point is that you need to be quite sure as to what was said in order to render the correct interpretation. This is a subject that has caused a great deal of debate among court interpreters. Should it be simultaneous? Consecutive? A hybrid of the two? One thing is certain: You are the only person interpreting in that room. It is you who sets the tone. Some interpreters prefer simultaneous since it is fast and to the point; as long as you don’t interpret very loudly to the deponent, no one will complain. In fact, you’ll find that some attorneys prefer simultaneous. Consecutive interpretation is the preferred method for video recordings, but this does not apply to all situations. While some technicians set up and simply monitor the equipment during the deposition, some will adjust your microphone and not the deponent’s so that deponent’s voice remains in the background and yours in the foreground, allowing for simultaneous interpretation. Ask the videographer how she handles it. Hybrid interpretation is a combination of simultaneous and consecutive. You can ask the questions in simultaneous and give the answers in consecutive. Tip: Always look toward the court reporter when giving your answers. In some instances, using two or all of the modes is appropriate and helpful. You’ll find your own cadence and style as you experiment with all of these modes. Workers’ Compensation – This is by far the most common type of case in which interpreted depositions are used. Insurance companies hire firms to depose injured workers and to evaluate their cases. On average, these depositions take two hours or less. Be ready to know the names of machinery, heavy equipment, and tools. Some deponents may not know the proper term in their own native language so they may resort to a mispronounced English word, so be prepared to inquire. Personal Injury – A large number of depositions are related to personal injury cases. Most of them arise out of car accidents – from a simple fender-bender to loss of life – and “slip and fall” incidents at supermarkets, etc. Familiarize yourself with your local traffic laws, car makes, and car parts as well as the human anatomy. Pre-accident medical history will come to light as well as prior accidents and other lawsuits. In motor vehicle accidents, the witness will be asked to approximate distances between vehicles and automobiles in front, beside, and behind him/her. Sexual Harassment – Instances of sexual harassment at the workplace still abound, in spite of laws against it. Be ready to interpret very explicit sexual language. Labor Law – Wage and Salary – This is a common lawsuit filed by employees claiming unpaid wages or overtime. Some of these cases may be filed as a class action lawsuit. School District – Some of these cases may involve child molestation lawsuits arising out of criminal charges. 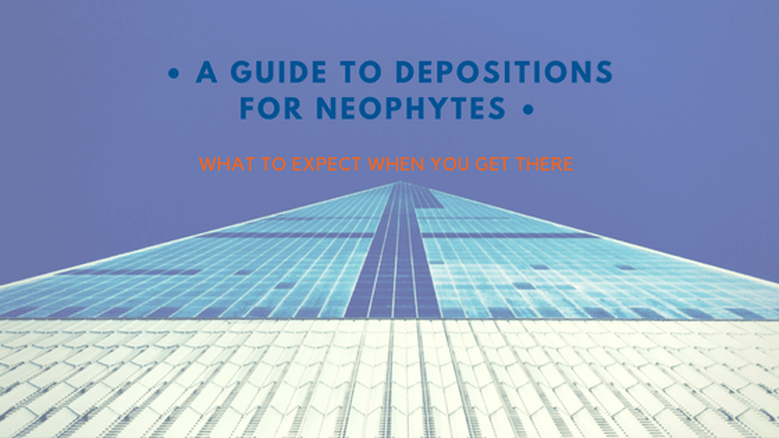 Other Types of Depositions – Real estate fraud, property ownership disputes, construction flaws, contract disputes, commercial cases, and patent infringement are just a few examples of what you may encounter as an interpreter in a deposition. Although depositions take place in a more relaxed environment, they are still a very serious proceeding. Opposing counsel can challenge you if she feels that you did not interpret correctly. The most important rule to remember is not to take it personally. It is not about you; it’s about keeping a record of testimony offered by the deponent. If deponent’s counsel questions a term, this will be on the record. Wait until deposing counsel asks you about it. If you are certain that you used the correct term you can say, “The interpreter stands by his/her interpretation.” Most likely, that will be all you need to say. You may need to say it more than once. Remember to remain objective and consider the term in question. If counsel is correct then state on the record, “The interpreter stands corrected.” It may be that the term you are using is not the best choice. You may ask permission to consult your dictionary online or otherwise to seek alternative terms to a word. Remember to state the term in question, spell it for the record, and offer your explanation. This may help any future interpreter involved in the case and it will show that the interpreter is aware of the problem and has offered a solution. Remember, you are there to facilitate communication – not to hinder it. Don’t be surprised if you find another court interpreter present to monitor the interpretation given. Do not be intimidated; do your job as you usually do. The interpreter has been hired by the other party to ensure an accurate record. Do introduce yourself to the other interpreter, and remember that this person is a colleague. The function of a check interpreter is a subject that deserves its very own article. Below you’ll find some useful links to help you better understand a deposition.